From September 14-17, 2015, the 5th U.S. Embassy-Keio SFC-TOMODACHI Entrepreneurship Seminar was held in Kawasaki, Kanagawa prefecture. 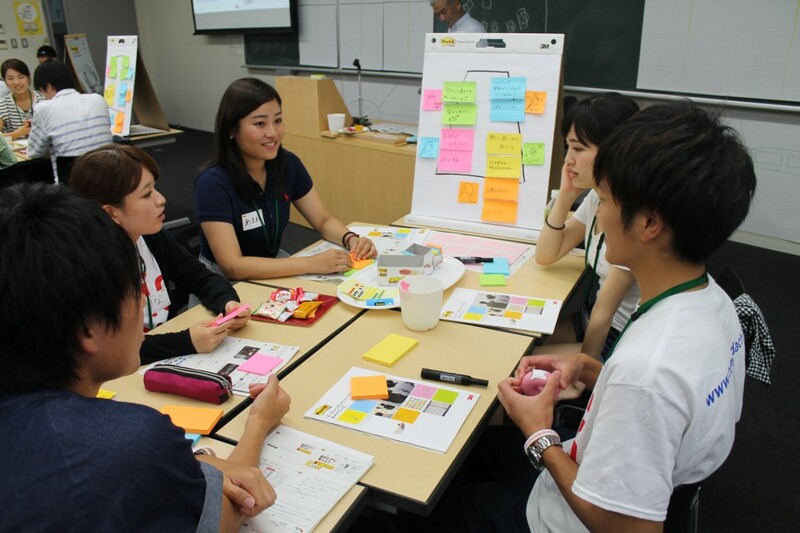 Funded by The Boeing Company, the aim of this program is to develop entrepreneurs within the young generation of Japanese students who will lead the reconstruction and revitalization of communities in the aftermath of the Great East Japan Earthquake. The program was jointly managed by four institutions: U.S. Japan-Council, U.S. Embassy, General foundation SFC Forum, and Committee of Young Entrepreneurs. This year, the four-day seminar was successfully launched under the theme Young Innovators: The Future Cannot be Anticipated but can be Created. Twelve groups totaling forty students gathered from various universities ranging from Otaru University of Commerce in Hokkaido in Northern Japan to Sojo University in Kumamoto the Southern region of Japan. During the course of four days of programming, the students received advice and support from business executives and entrepreneurs and had opportunities to brush up on their business plans. On the last day, the students presented their final business plans at Keio University, Hiyoshi Campus and three teams won the highest award. The winning projects included Sojo University who developed a plan for personal mobility products which enables people with and without disabilities to enjoy playing sports together; the Otaru University team produced a plan to create a tool to foster communication and to become outspoken; and a student of the Keio SFC team shared his experience of nervousness when studying abroad as a high school student and the team proposed creating a service providing support and information for students thinking about studying abroad, which won the award of excellence. In addition, Niigata University won the Audience Award for a plan to provide small and mid-sized enterprises in the community an opportunity to promote the appeal of these companies to the younger generation. This seminar provided the participants with a rare opportunity to acquire practical knowledge and different perspectives while connecting with other students with similar interests and being inspired by colleagues and professionals.